We’re excited to Get Loud for Nordoff Robbins! 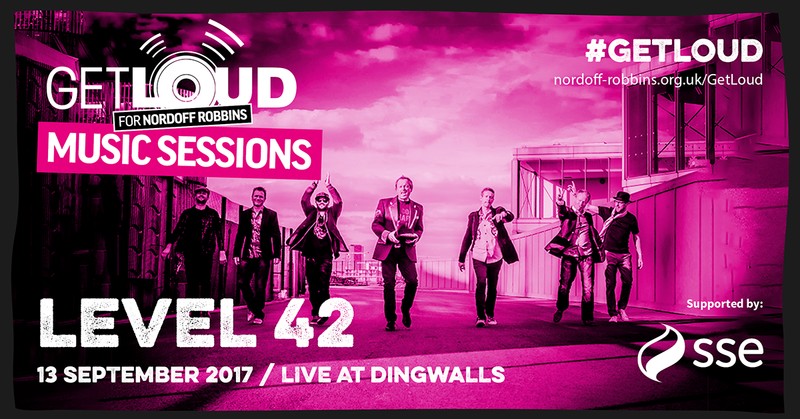 We’re raising awareness for this brilliant music therapy charity by performing a special Get Loud gig at Dingwalls in London on Wednesday 13 September. Every day Nordoff Robbins music therapists change the lives of vulnerable and isolated people across the UK, and through Get Loud they can reach even more people who need their support. Get Loud is supported by SSE. A special thank you for signing my poster from last night . I was in a coma for 3 months I woke up to level 42 playing by my bedside. I had some very dark times . You guys kept me alive . Spent 2 yrs in a wheelchair had one wish to walk into a level 42 gig Done that . Last night ment a lot to me as I know music can help recovery.